Ms. Robbie Sarles, President, and founder of RLS & Associates, Inc., has worked over 37 years in the transit industry in progressively responsible positions, in both public and private sectors. 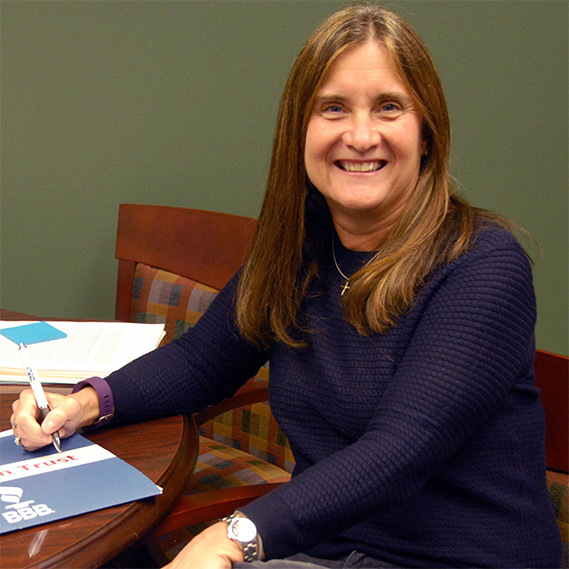 Since founding RLS in 1987 in Dayton, Ohio, she has focused on providing transportation management consulting service to public transit systems, paratransit systems, government agencies, and the private sector—working directly with senior level DOT staff, legislators, and local elected officials. Ms. Sarles’ forte is consensus building and developing win-win solutions that result in implementable plans that provide local communities with long term guidance—not just documents that sit on a shelf. Ms. Sarles has personally developed dozens of transit development and service plans, and conducted hundreds of compliance reviews for transit systems of all sizes throughout the country. She is also a nationally recognized speaker and trainer, having presented over 900 workshops on various topics, including substance abuse management, Americans with Disabilities Act requirements, performance indicators, coordination, emergency response, financial management, and many more. Ms. Sarles serves as the Principal-in-Charge for all RLS projects, working directly with the individual RLS Project Managers on staffing to ensure projects are conducted on time and within, or under, budget. One of Ms. Sarles’ most recent projects includes TCRP Study F-25, a national research project on Improving the Safety, Health, and Productivity of Transit Operators Through Adequate Restroom Access. Ms. Sarles is also the Project Manager for the Ohio Mobility Transformation Project where she has facilitated the work of 14 state agencies with a goal of standardizing the fragmented delivery of human service transportation—including Medicaid-sponsored transportation—in established regions throughout the state. Ms. Sarles is also directing the CTAA eLearning, Reaching Agreement Among Coordination Partners module, for the development of a content outline of 4-10 topic-specific modules for this national training that will address the key issues and challenges to coordination. Finally, Ms. Sarles is the Principal-in-Charge and Project Manager for RLS’ RTAP projects in Ohio, Indiana, Wisconsin, Tennessee, Massachusetts, and New Hampshire. Ms. Sarles is proud to see her once small, one-woman business become nationally recognized for its integrity, pragmatic solutions, and community commitment. She recognizes that RLS’ success is entirely due to its staff and clients’ constant determination to add value to each community. Ms. Sarles received Master degrees in both Civil Engineering and City and Regional Planning from The Ohio State University in 1981. She received her Bachelor of Science degree from Western Kentucky University.